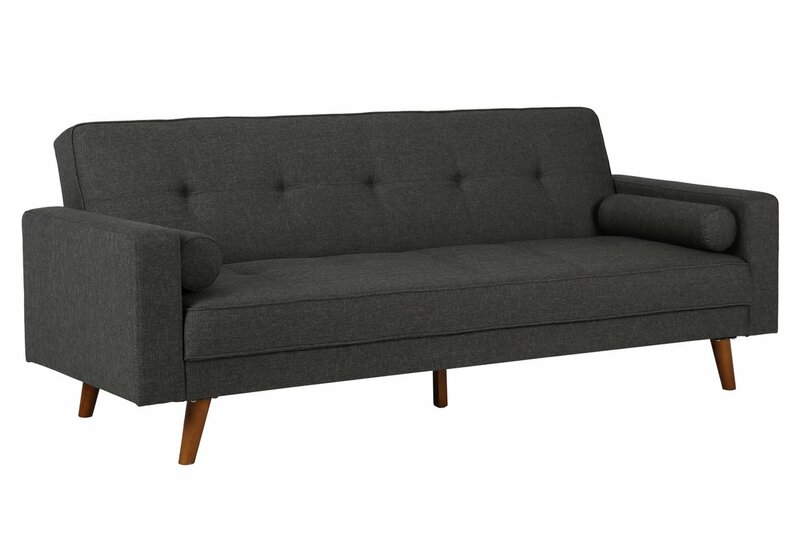 If you room requires a compact mid-century sofa, rent the Jena Sofa with its rich linen texture and light grey fabric that is perfectly designed for your smaller living space. Its tufted detail gives it enormous style and comfort. Two small cylinder pillows ornate the sofa, add a few colorful or shimmering decorative pillows to spruce it up. The compact size of this sofa allows you to match it with a square, round or rectangle coffee table. Also, check out our line of floor lamps to add to the side of this beautiful couch. The Jena Sofa can be rented in the Living Chic Package.